Culinary - Concept a concept to cater in the kitchen making industry. Since its inception way back in 2002 Culinary - Concept is striving relentlessly to improve its design and user-friendly "make", based on the valuable feedback from our invaluable clients. 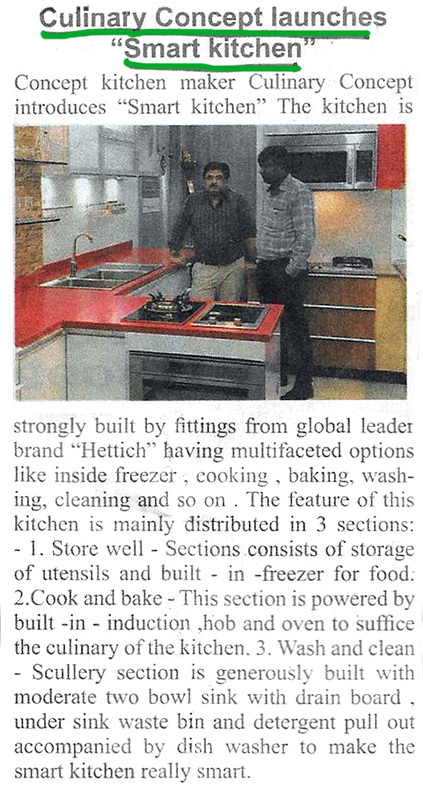 Through times we have specialized in kitchen industry with latest trend in the market. Our Specialty: Factory finished material and accessories from the leading international brands. We emphasize on quality and exercise technology to build it better. Taking individual care and keeping in mind the individual need, taste and likes, we cater in a very unique customized way. We solicit entire interior of the house but we only make the kitchen for it. Achievement: Empanelled interior of State Bank Of India.